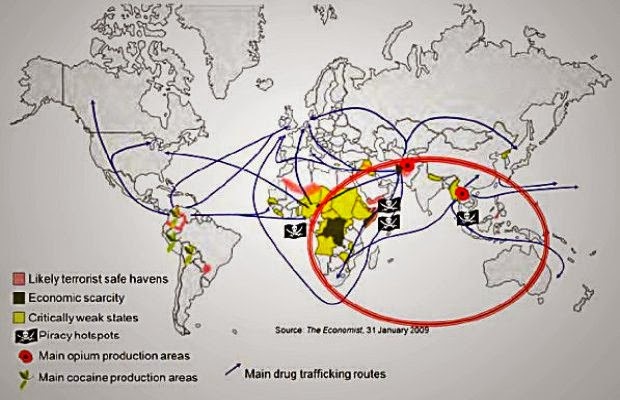 — James R Holmes and Toshi Yoshihara, experts on Indian Ocean affairs. The primary strategic importance of Indian Ocean to India has emerged after the conferment of the EEZ to India of its allotted zone of 2,013,410 sq km with huge repositories of mineral wealth, oil and natural gas, living and non-living resources. This expansive scope of extending India’s continental shelf is almost 2.9 mn sq km equaling the landmass of India. India has been conferred with further sovereign rights and entitlements of its sea-bed resources of 150,000sq km of sea-bed in the high seas. India’s interests in sea-bed mining and its interests in Antarctica are huge resources that need to be secured. However, India’s primacy in the Indian Ocean has been challenged by several regional and extra-regional powers in different periods of its post-independence existence. In 1965 at the height of the India-Pakistan War, Indonesia contended on the status of Andaman & Nicobar Islands and claimed it for Indonesia. The extent of Indonesia’s acrimony went to the extent of deploying its naval units for Pakistan and also threatened to annex the Andaman and Nicobar Islands. Today the Andamans constitute a very important forward basing of India’s armed forces and its engagement with Southeast Asia and the Indo-Pacific. India was challenged by Australia’s surveillance missions over the Bay of Bengal at the height of the Cold War with Royal Australian Air Force (RAAF) sorties of its AP3-C Orion Long-Range Maritime Patrol (LRMP) aircraft operating from RAAF base at Butterworth in Malaysia dropping sonobuoys on the wake of the Indian Navy ships in patrol. India did not retaliate but did monitor the frequent RAAF LRMP intrusions and harassments on its naval vessels. China had strongly stated that the Indian Ocean cannot be India’s Ocean. In 1992 the PLA (People’s Liberation Army) General Logistics Department’s report stated that China had to strengthen its Indian Ocean presence challenging India’s domain with a string of Indian Ocean littoral economic-military infrastructure projects of dual use (civilian-military) paving way of the local country’s coastal and port infrastructure development and for co-location of Chinese maritime assets. India as a “core state” is an important “swing state” that conditions the nature of geo-economic, geopolitical and geo-strategic developments in the region. India’s pivotal position in the Indian Ocean has conferred it with the crucial importance of securing the safety of energy sea-lanes of communication. India is a net importer of hydrocarbons from the Persian Gulf-Southwest Asia and its position is astride the densest energy shipping from the Straits of Bab-el-Mandab to the Straits of Malacca. India’s primary role is to ensure the stability of the region from non-conventional asymmetric threats of maritime terrorism and also to stabilize the region from its known conventional threats. The Indian Ocean has had a long history of the forward presence of extra-regional naval-nuclear presence of the great power navies of the US, UK, France, Russia and China at various periods of time. Extra-regional naval presence has given India its adversarial challenges and in recent times an allied advantage. India has begun to contend the rise of China in the Asia-Pacific and its expanding trading and maritime presence in the Indo-Pacific Oceans. China has been in the aggressive quest to build its maritime access in the Indian Ocean region since 1992 with an aggressive “string of pearls” (US Department of Defense/Booze-Hamilton Report, 2005) strategy of collaborating and sponsoring coastal and port infrastructure for the Indian Ocean rim countries. China’s access strategy into the Indian Ocean in Gwadar (Pakistan), Hambantota (Sri Lanka), and Mergui, Akyab and Great Coco Islands (Myanmar) has strengthened its assured access into the region. They offer China with a strong forward presence and a future option for deployment of China’s naval power that is now on the rise. India’s naval power rise in the Indian Ocean has largely been an emergence in economic power and the technological transformation of its armed forces specifically the Indian Navy. India’s multinational naval engagement and projection of maritime power has emerged as one of the distinctive benchmarks of the new naval thinking with the Indian Ocean offering the most significant opportunity with the regional and extra-regional navies. India’s naval engagements have been of increasing sophistication of varied platforms and varied mission roles with the great powers and also the small states in the region. The pace and scope of these naval exercises have turned the Indian Ocean as a maritime realm of sophisticated multinational naval engagement with important coercive, compelling, cooperative and convergent maritime objectives. India’s military diplomacy has its “hard” and “soft” faces. 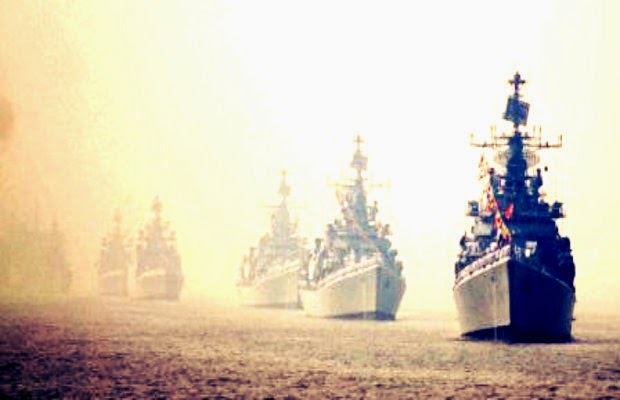 The “hard” face is evident in the importance of naval buildup as a process of India’s strategic rise has resulted in the development of strong and technologically robust surface submerged and maritime air power, viable second strike naval-nuclear forces; agile expeditionary and amphibious forces that has a jointness in purpose and operations. These have reinforced deterrence and equipped readiness for lethal strike operations. The “soft” facet of maritime power has come in India’s readiness and augmentation to convert its expeditionary amphibious-joint force capabilities into humanitarian operations of rescue and rehabilitation and for the constabulary role for maintaining good order in the Indian Ocean. These dual-purpose capabilities strongly attribute to India’s growing strategic autonomy and rise. The Indian Ocean would be the focus of global attention as the region has gained immense importance for its globalized energy-trade maritime networks. India’s role as a critical player would increase in the years to come even as economic growth drives India with its autonomy of action in the region. India’s role would be welcomed by the West given its strategic positioning that would enable it to play a critical role for stability amidst competitive power rivalries that the region would see in emergence in the coming decades with China’s maritime-military assertion in the region. India’s new initiative in the region has been the Indian Ocean Naval Symposium (IONS). The IONS since its inception in February, 2008, provides India, a new leverage for its ‘soft power’ (Joseph Nye, 2004) for cooperative and convergent security in the region. It encompasses all littoral and extra-regional states for the building of maritime confidence building measures and capacity-building to address the various asymmetric, transnational threats in the Indian Ocean and also it aims at the stabilization of competitive rivalries among the great powers in the region. In geopolitical terms, and in terms of the naval capabilities of the different navies other than the US that operate between Suez and Hawaii, Indian Ocean still consists of three distinct areas: the Indian Ocean, the western Pacific, and the seas near China, (namely, the South China Sea, the East Sea and the Sea of Japan). There is more scope for cooperation than rivalry in the IOR, especially in the Gulf of Aden and Indo-Pacific between Indian and Chinese navies. Both India and China have common goals and objectives in the region. All the three countries (India, China and US) also declare that this is so for the seas near China, though multiple actors and territorial claims and disputes add complexity on this score. It is hard to see how disrupting these SLOCs will directly advance either country’s interest vis a vis the other in other areas where they might have differences. Over the last decade an Indian presence in the waters east of Malacca and a Chinese presence west of Malacca have become the new norm. Both have happened simultaneously and without apparent friction. These are natural consequences of the development of India and China, and of their increasing dependence on the world as their economies globalize. There have also been instances of cooperation between the Indian and Chinese navies, as in anti-piracy operations off the Somali coast and the Gulf of Aden. The larger issue here is what India should do about maritime developments in the Indo-Pacific and the IOR? India is quite clear about this. What the Indian Navy thinks or what should be the Indian response have been made clear in the Maritime Doctrine of 2004, the Maritime Strategy of 2007 and in the latest Maritime Doctrine of 2009. In effect the Indian Navy is building capacity to deal directly, and along with friendly navies, with contingencies in the Indian Ocean, cooperating to defend the Indian interests across the IOR. Promoting a regional cooperative architecture through IONS, (which focuses on regional navies), and through IOR-ARC, (which takes a more comprehensive approach to regional maritime security and recognizes the importance of economic cooperation, cultural ties, scientific exchanges as well as maritime security cooperation). China and the US are dialogue partners of IOR-ARC. Working with regional cooperative mechanisms like Regional Cooperation Agreement on Combating Piracy and Armed Robbery against Ships in Asia (ReCAAP), Shared Awareness and Decofliction (SHADE) (for anti-piracy), Regional Maritime Security Initiative (RMSI), the ASEAN Maritime Forum (AMF), ASEAN Regional Forum (ARF) and others. Holding bilateral dialogues on maritime security with major stakeholders, including the USA, China, Japan, and trilaterally with Sri Lanka and the Maldives. Carrying out naval cooperation including exercises, training, and cooperation bilaterally (Malabar, Konkan and Varuna) and multilaterally (MILAN). The increasing ascendancy of asymmetric threats in the Indian Ocean littorals and the proliferation of weapons of mass destruction have increased the instability of the region. India’s role to contain these threats is primary and paramount and they would bear crucial impact on global maritime trade. In response, the Indian Ocean would witness for the foreseeable future the deployment of multinational naval Combined Task Forces like the Combined Task Force 150 that are primed to tackle the asymmetric threats like maritime piracy, terrorism, human trafficking, small arms smuggling etc at sea. It has seen substantial deployments of the US, UK, France, Germany, Japan, Australia and the various regional navies that are primed on the principles of multinational naval engagement networked by transformational technologies for joint patrols, intelligence sharing and the building of enhanced Maritime Domain Awareness (MDA) in the Indian Ocean region. This capacity-building of networked navies has immense implications for India. Notable among the extra-regional presence of western navies led by US Fifth Fleet are the enduring presence of the UK Royal Navy and the Japanese Maritime Self Defence Force. Britain and Japan were the earlier imperial powers that had immense historical interest and domain in the Indian Ocean. It is interesting to see that the two naval flotillas are today the ‘shield’ for the US naval presence in the Indian Ocean and their diversified, yet complex missions provide important leadership to the region. 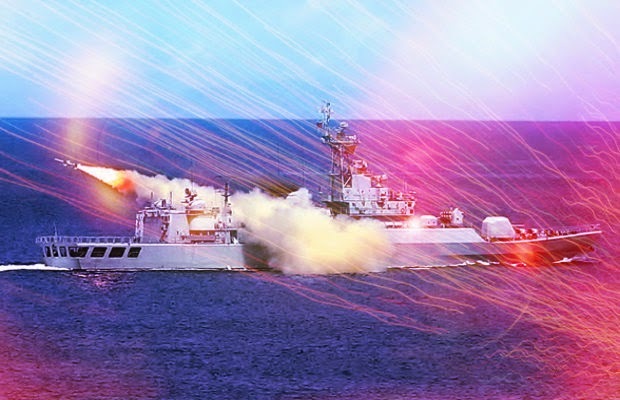 The rise of China and its naval-nuclear force has widespread ramifications for the strategic stability of the Indian Ocean and Asian littoral. Indian responses and the competitive responses of the US and Western powers and Japan would shape the critical balance in the Indian Ocean for several decades to come. 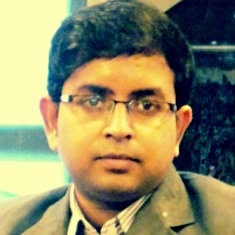 Today, it is very early to talk or prophesize about the future of Indian Ocean on whether it will be a zone of rivalry or cooperation, yet many alternative futures are still possible in this oceanic space that will be an ever more significant determinant of India’s future in its own backyard. As Robert D Kaplan observed so sagaciously in his well-researched work “Monsoon: Indian Ocean and the Future of American Power” (2010), “India stands dramatically at the commanding center of the Indian Ocean near to where the United States and China are headed for a tryst with destiny.” Above all, India’s destiny is intrinsically linked to the safety, security and dominance of the IOR in the future on which India must never make any compromise.